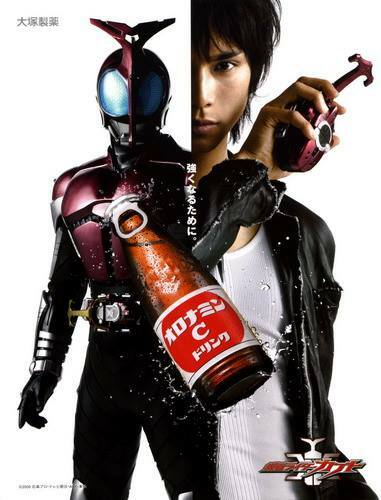 Tokusatsu Network translator, Robin Caine, was told he looked like Kamen Rider Kabuto actor, Hiro Mizushima. Living in Hawaii, he was already familiar with Kamen Rider V3 and other local heroes. He would go on to watch the other entries of the Heisei Kamen Rider series and eventually find himself watching Super Sentai, Metal Heroes, Space Sheriff etc. He joined The Tokusatsu Network in March 2014 along with staff writers, Nick Bush, and Venessa Weyer. He currently posts the weekly “This Week in Toku Actor Blogs,” highlighting tokusatsu actor social media posts. I first heard about it when I was on Tumblr looking through posts on Kamen Rider tags. I noticed some article translations that I was interested in. Just basically being a Tokusatsu fan in general is what appealed to me. I often do some translation work for fansubs for my friends whenever one of us purchases a movie from CD Japan. Did you have any reservations or concerns about contributing to the site? I feel like my approach to things have become more systematic, especially when it comes to editing an article. I would often format a post in my head so that during the QC process there would be little edits in order to facilitate a post. Fantastic. Despite communicating online via FB Messaging, we manage to excel at creating articles within a timely manner. Yas is usually there to QC my translated articles outside of my Toku Actor Blog posts. He is really great in that he will often point out things that I have not considered in my translation works. Any goals for TokuNet in the future? Somebody said jet? Yeah, a jet. I really want TokuNet to continue at the pace its going at right now. This momentum we currently have is great and I am just basking in its energy. I do hope that I will continue to improve as a translator and an article writer as well. Even though we were technically on break during the last week of December, it seems like my Drive (no pun intended) I have for ending the year strongly remained alive. I hope that my fellow teammates share that same passion.